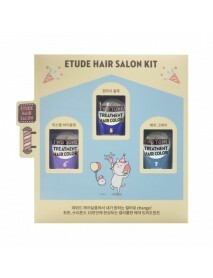 Two Tone Treatment Gift Set＇Product DescriptionTwo-toned hair for vivid, mystical color in 10 minutes.＇How to use1. 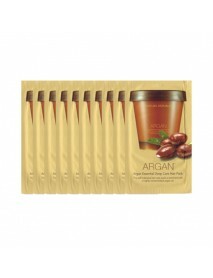 After shampooing hair, towel-dry hair without us ing rinse or hair treatment.2. 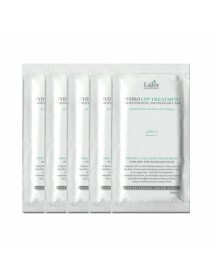 Wear disposable plastic gloves and evenly apply color ..
Hydro LPP Treatment Samples＇Product DescriptionDouble Collagen TreatmentFor Dry and Damaged Hair.The hydro LPP is a rich healing treatment that repairs the hair fiber of extremely damaged, sensitized hair in need of an urgent care.Specially formulate..
Monster Cleansing Travel Kit＇Product DescriptionA travel kit with Monster Micellar Cleansing Water and Monster Cleansing Cotton.Monster Micellar Cleansing Water 100mlMonster Cleansing Cotton 30ea100ml+Cotton Pad 30ea＇How to useSoak the cotton pad wit..